The U.S. Mine Safety and Health Administration (MSHA) implemented an action plan for its employees who do not meet the Agency’s medical standards. MSHA says some employees have not met the medical standards for years. MSHA inspectors and technical personnel are required to have periodic medical examinations and meet U.S. Office of Personnel Management-approved medical standards as a condition of employment. Medical examinations, including vision and hearing tests, are required. According to MSHA, a review of the examination results show that approximately 15 to 20 percent of MSHA inspectors and technical personnel do not meet the Agency’s medical standards. Further, the problem has been getting worse over several years. The Department of Labor is working with MSHA to develop an effective, consistent, and equitable plan to resolve the issue. MSHA will begin individual assessments for employees who do not meet the medical standards. The Agency assures employees that it will incorporate requirements for reasonable accommodation, resolve issues efficiently and effectively, and conduct the assessments in a consistent, fair manner. MSHA says it will be mindful of employees’ privacy concerns and will work with stakeholders, including the employees’ union to keep them informed. 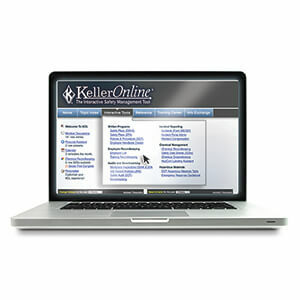 The KellerOnline® safety management tool is used by 19,000+ safety pros to help reduce accident rates and lower workers' comp costs.